Join the DC Time Bank! 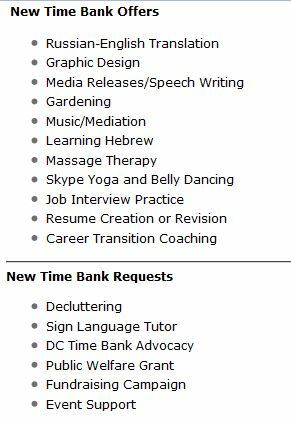 The DC Time Bank builds circles of reciprocity and mutual aid, building community ties, community self-sufficiency, and resilience. On September 22, 6-8pm, Time Banks USA Founder, Edgar Cahn, will present on time backing at Busboys and Poets, 5th & K Sts NW.